As we approach the summer, and more specifically a certain popular footballing tournament, the amount of programmes to cover are certainly drying up. This last week has mainly been dominated by continuing shows and the underwhelming semi-finals of Britain's Got Talent. That's why I've decided to focus on BBC2's celebration of their own comedy output and in particular four programmes that they aired over the Bank Holiday Weekend. We start with Harry and Paul's Story of the 2s which was an irreverent look back at the history of the channel as a whole. The programme was set out as a mockumentary with Harry Enfield taking the role of Simon Schama as he took us back to 1964 where Auntie Beeb gave birth to her second child. Enfield and Paul Whitehouse appear to have been given free rein to mock every programme that the channel have ever produced. I was personally surprised that programmes such as Fawlty Towers, which are often held in high regard, were picked apart in a matter of minutes by the mischievous duo. Highlights for me included Paul's perfect impressions of both Mary Berry and Jools Holland with the latter presenting an ill-fated breakfast show 'Earlier with Jools'. I also thought the extended pastiche of the channel's recent reliance on panel shows were expertly done with Paul Merton's input on Have I Got News for You being perfectly lampooned. At the same time I found a lot of the programme to make fairly obvious jokes including the fact that the majority of the BBC Two executives went to Oxbridge universities. In addition I felt the programme took its time getting started and that the early focus on long-running war documentaries weren't really that funny. At just under an hour in length, it felt at times as if Harry and Paul were struggling to find programmes to mock and even included a sketch from an unaired episode of Blackadder, a programme that never featured on BBC Two. But ultimately I do feel the programme was a success which featured more comedy hits than misses and just enough laughs to justify the length of the programme. 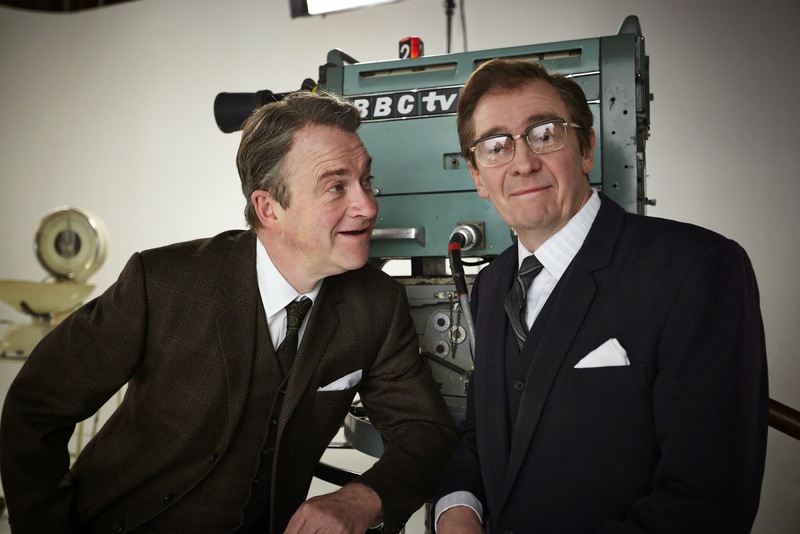 Enfield and Whitehouse proved why they're still the go-to comics of choice for the BBC and The Story of the 2s was a perfect inclusion in the Bank Holiday comedy marathon. I did also find it admirable that Enfield took time to even mock himself as one sketch focused on his jealousy over the fact that Whitehouse's Fast Show had one multiple BAFTAs while his own show had never been recognised. The rest of the weekend relied highly on nostalgia with the perfect example of this being the two-hour clip show 50 Years of BBC2 Comedy. Whilst I initially thought that this might be a serious insight into some of our most loved comedies, instead it was a whistlestop tour of everything that the BBC's second channel has done right over the past fifty years. In fact at times the show was too self-congratulatory for my liking and there was no admissions over some of the channel's more questionable comedies such as Heading Out and It's Kevin. Instead the series saw the channel take credit for airing the first sitcom that didn't include a comedian, that being The Likely Lads, and for giving us classic characters like Alan Partridge and David Brent. Indeed, the documentary really let Gervais talk about how excellent both The Office and Extras were but unsurprisingly Life's Too Short didn't get the same treatment. Additionally there were some questionable inclusions throughout the course of the two hours most notably The Hitchhikers' Guide to the Galaxy which I personally never classified as a sitcom. The programme also took time out to demonstrate how many BBC One sitcoms started on the channel whether it be the first series of Ab Fab or the pilot for Porridge. I personally was annoyed that, while the first series of The Royle Family got a mention, there was no room for Craig Cash's equally impressive Early Doors. Later, the documentary focused on BBC Two being the channel that aired Seinfeld and The Larry Sanders Show not mentioning that they gave both fairly bizarre places in the schedules. The one thing I was happy about was the inclusion of Rob Brydon's excellent Marion and Geoff, a programme that definitely deserves a large amount of praise. 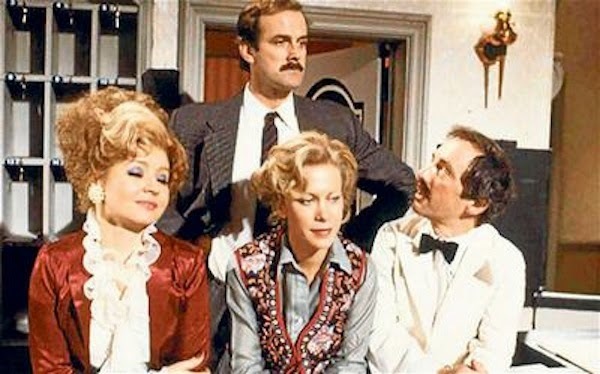 But predictably the most praise went to Fawlty Towers, the sitcom that many still hail as one of the best British programmes of all time. Ultimately, while it had some humorous moments, 50 Years of BBC2 Comedy was too long and featured far too much back-slapping for my liking. BBC Two also took the opportunity to celebrate another anniversary, twenty years of The Fast Show, by airing the sketches that the team produced for the Fosters' website a couple of years ago. The Fast Show Special aired an hours' worth of sketches in two thirty minute instalments and as ever there were some hits and misses. It's always a joy to see Ted and Ralph and their conversations about Twitter and Facebook were priceless. 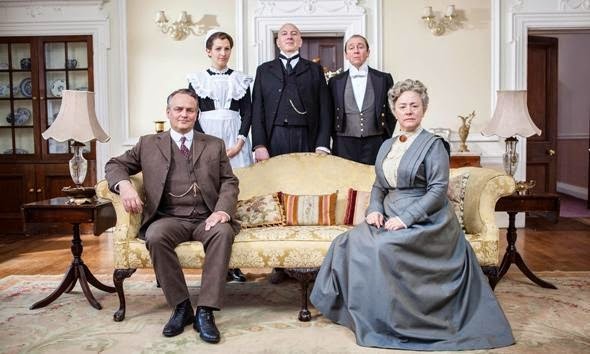 Similarly seeing John Actor's Monkfish being the butler on a Downton Abbey-style show was brilliantly accurate. In fact the best sketches involved the characters attempting to deal with modern day situations whether it was Ron Manager's struggles with his new chair or Billy Bleach's thoughts on smart phones. Less successful was Bob Fleming's take on The Trip and the Jazz Club segments which appeared to go on forever. I personally felt the highlights were the return of Caroline Aherne, who hadn't been part of the later series of the show, and even hearing her say 'Scorchio!' brought a smile to my face. Seeing the characters of Janice the schoolgirl and Roy and Renee after a long time away was perfect especially the fact that the former had now started an online relationship with a convict. Conspicuous by his absence this time around was Mark Williams who is obviously too busy filming BBC One's daytime output to participate in a new 'Suit's You' segment. The major problem for regular fans of The Fast Show is that they will already have seen these sketches almost three years ago and the fact that the BBC was presenting them as new programmes was a bit misleading. But, just like with Harry and Paul, it was great to see the ensemble do what they're best at and if I did have an iPhone I know I'd be downloading the Cheesy Peas app straight away. Finally we have another show that, unlike The Fast Show, did film all new sketches for the BBC Two anniversary as we welcomed back the brilliant Goodness Gracious Me. It felt to me as if writers and stars Nina Wadia, Meera Syal, Sanjeev Bhaskar and Kulvinder Ghir had something to prove as almost every sketch had some value to it. All of the favourite characters were back from Mr Everything is Indian who had his theories on Sherlock to the overbearing mother who claimed she could make an Apple Phone from an aubergine. An incredibly timely sketch saw the Kapoor/Coopers attempting to sign up for UKip before realising that they'd been recruited purely because they were immigrants. In line with the celebration of the channel's comedy output, the team also presented their own take on the 'Class Sketch' from The Frost Report. Rather than just being a jokes-only sketch show, Goodness Gracious Me always had much more to say about the way that the Asian population were treated in Britain. A sketch focusing on an Indian newspaper, brilliantly known as 'The Delhi Mail' poked fun at the ludicrous nature of print journalism in this country. I'm glad that this sketch had the most time devoted to it as every joke and observation was cleverly executed to the point that I wondered why anybody would ever by The Daily Mail in the first place. Obviously not everything worked, I wasn't personally a fan of the group's take on Mary Poppins, but there was more than enough evidence here that the team are still at the top of their game. As the show finished with a brilliant spoof of Robin Thicke's 'Blurred Lines', I was crossing my fingers that this reunion special was acting as a pilot for a possible new series. Based on the evidence in this programme alone, Goodness Gracious Me is still funnier and cleverer than the majority of current sketch shows and I for one would welcome its return.